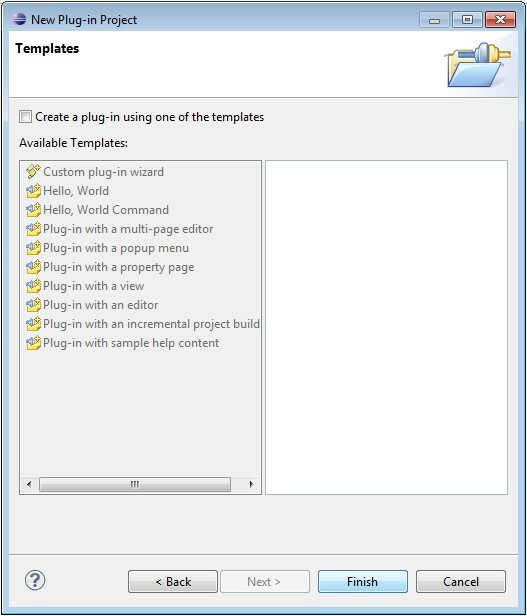 The following tutorial shows how to add a menu item to the popup menu when right click a .java file in Package Explorer View. If you know how to create a typical plug-in project, you can skip the first step. Click "Finish", and you have an empty plug-in project created. Under the overview page below, click "Extensions". Now select "Hello, World" command contribution. The reason we use a wizard is that this makes the creation faster. This is the most important part of this job. 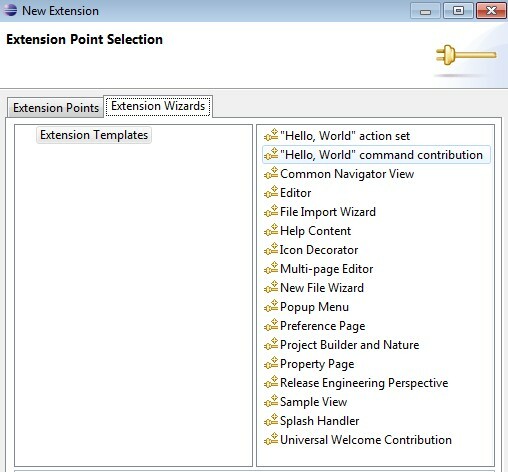 The following attribute specifies that popup only shown for PackageExplorer view. 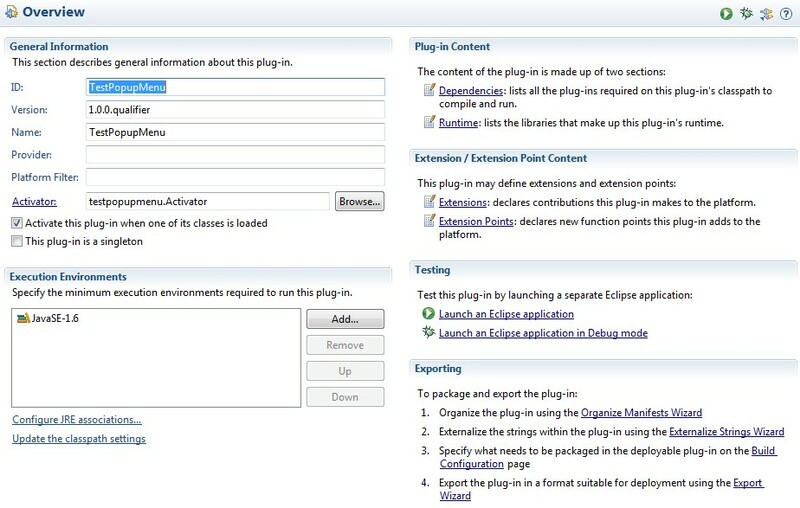 If locationURI is set to be popup:org.eclipse.ui.navigator.ProjectExplorer#PopupMenu, the popup menu will show up in ProjectExplorer view. 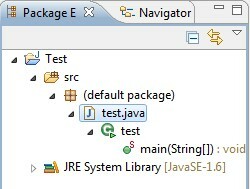 The following attribute specifies the menu item is only shown for .java files. 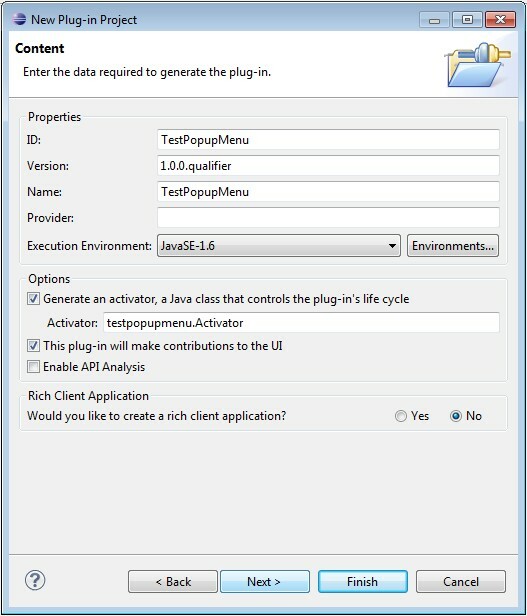 Create a Java project and add a java file, right click it and then you get the menu. This example shows the following message. Instead, you can execute a real job. Instead of doing nothing useful, we can print the selected file's information. By setting different values in the plugin.xml file, you can let the added item to shown in different views, such as Navigator. You can also let it shown for different types of files. 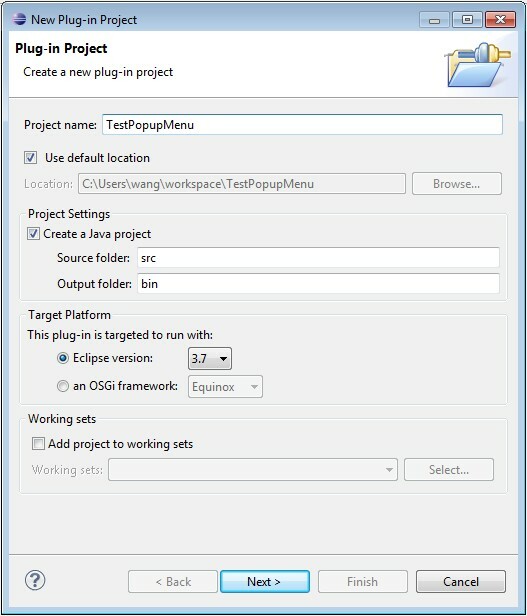 I call the menu "popup menu", but in Eclipse, Popup Menu means a different thing. very nice example thanks a ton.